Very Good. NEW YORK TIMES bestselling author Greg Bear returns with a new pulse-pounding, adrenaline-fueled military space adventure set on Mars. B-format paperback. 304 p.
Very Good. War Dogs by Bear, Greg. Sewn binding. Cloth over boards. 304 p. War Dogs, 1. Very Good. 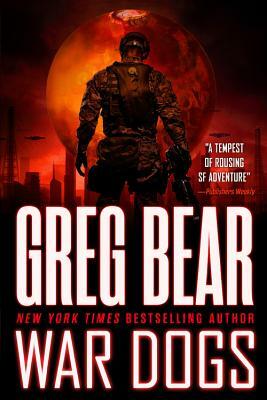 NEW YORK TIMES bestselling author Greg Bear returns with a new pulse-pounding, adrenaline-fueled military space adventure. Trade paperback (UK). 304 p.
Good. War Dogs by Bear, Greg. Sewn binding. Cloth over boards. 304 p. War Dogs, 1.